Two spacious homes (3 bed, 2 bath and 2 bed, 1.5 bath) on a large property in very desirable Ka'a'awa. Enough land to build a 3rd home on this R-5 zoned property. Options to sell homes and vacant lot separately. Detached garage with large recreation room and wet bar on the second floor. Excellent space for an extended family. Large property of 18,779 square feet. Perfect for rental property or family compound. One home built in 1989 and the second home built in the 1965. Great rental income and excellent tenants of $6,700 per month with tenants paying electric. Miles of white sandy beach is one block away and the Ko'olau mountains are your backdrop view. Walk to Elementary School, post office, bus stop, store and Uncle Bobo's for some BBQ! CPR almost complete.brand new concrete driveway/parking (approx sale price:2 bd home $550,000, 3bd home $670,000)in a beach front community. Great views from decks of larger house of 4 decks, steps to the beach. NO HOUSE IN BACK OR FRONT OF THIS LAND. The 3 bdrm house is 2 bdrm upstairs with 2 baths, 1 bedroom downstairs with its own bath. (about 2000sf, 3 baths,like a in-law unit, with 2 decks). 2 decks upstairs, deck downstairs. The other house: 2 bedroom home with 2 decks has beautiful mountain and ocean views. xD; xA; The 2 bedroom is vacant and newly painted and the larger house is now vacant also,, easy to show. xD; xA;flood zone:front house X back house AE. (need to verify). exact sq ft may differ from tax record. Owner currently in process to xD; xA;CPR is property. Located next to Swanzy Beach Park, this cute 3 bedroom, 1 bath home has been renewed with new roof, siding, vinyl windows, kitchen cabinets, counter tops, bathroom vanity, fresh paint inside and out, new vinyl flooring in the kitchen and bath. Solid oak flooring has been refinished. Outdoor shower is great to wash off after a day at the beach. But there's more. A detached 2 bedroom, 1.5 unit plus another unit that can be used for an office, storage, she-shed, man-cave, the possibilities are endless. This already huge lot feels so much larger with the 25 ft + easement inside the park walls. This is a treasure not to be missed. SF/beds/baths do not match tax records. Measurements provided by recent appraisal. Hawaiian/Beach style home, breathtaking ocean, mountain views & Sunrise, beautifully landscaped & fenced yard. Upgraded plumbing, electrical, roof/gutters. Near surfing spots and hiking trails. Short distance to Swanzey Beach Park, post office, restaurants, etc. Private showings only. Come see! Come buy! Watch wales breach from your living room window! xD; xA; xD; xA;First Showing not until June 1, 2019 - please do not bother the occupants. Welcome Home! Great house at a terrific price here in the wonderful location of Kaaawa! This home is near great beaches w/ beautiful mountain view!Get away from the crowds of town & really know what island life is all about! NEW AC!!! 2 bedrooms, 1.5 bath w/outside shower, a loft area w/ new flooring & a back screened porch for relaxing & listening to the ocean, front patio area w/ sunshade retractable awning.In the small 8 house beach community of Makaua Shores & a BBQ area & shared swimming pool! 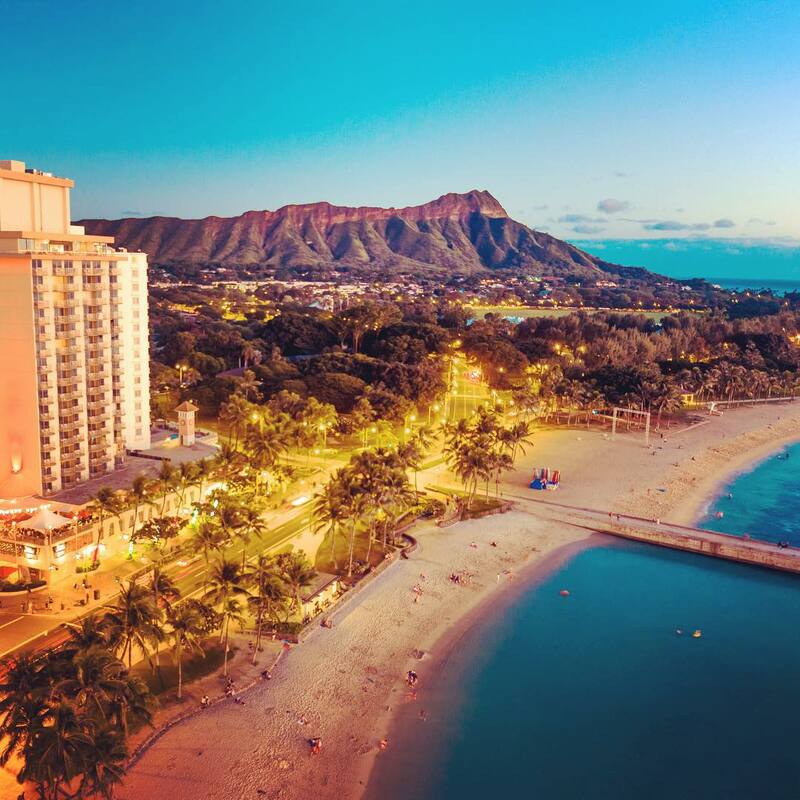 There are beautiful beaches & parks nearby & Turtle Bay Resort is about half hour North as well as all the famous surf beaches & Waikiki is about 45 minutes away and Kaneohe is about 20 minutes away and offers a full shopping mall, movie theaters, & restaurants. Call now to see this cute home! Nice white sand beach neighborhood... 2 story home with like a in-law unit on 1st floor that comes with bedroom, living rm, kitchenette, bath and 2 decks. xD; xA;2nd floor has 2 very large decks with the beach/ocean view and the other deck you can see the beautiful mountains of Kaaawa. This floor consists of 2 bedroom and 2 baths, 8 foot sliding glass door that opens to the ocean views. xD; xA; xD; xA;All information needs to be verified to be accurate . xD; xA; xD; xA;The house can use some fixing up.,,, here and there but seems minor. but if has new paint, outside stairs, 8 ft slider, xD; xA; make an offer! xD; xA; xD; xA;CPR documents have been recorded,, just waiting for the final report. So at this time we cannot take any purchase offer contracts. If you are interested in this home, we have a form to fill out called a non binding agreement. Finally a small charming beachfront neighborhood/town ,, home for sale at a affordable price: Lovely , cute and quiet... 2 bedroom home with 2 decks has beautiful mountain and ocean views. Newly painted and has a brand new refrigerator. Lanai is connected to living room via nice new sliding glass door. xD; xA; xD; xA;The house has some age but has been occasionally fixed up.. so it could use some personal touches. House is built above ground so could give way to easier renovations. xD; xA; xD; xA;CPR documents have been recorded,, just waiting for the final report. So at this time we cannot take any purchase offer contracts. If you are interested in this home, we have a form to fill out called a non binding agreement. xD; xA; xD; xA;note: the cpr land of this home per flood maps shows it is not flood zoned,, but the house in the back is partially on flood zone land. MOTIVATED SELLER! Clean, move in ready Makaua Village. 2 bedroom, 2 full baths with loft. Pet Friendly! VA Friendly PLUS located below Crouching Lion, with hiking trails or ocean living, right at your fingertips! Unobstructed ocean views from this wonderful end unit. Largest model with 995 sq feet of open air living. Huge storage area on top floor. All remodeling done in 2011 by previous owner. Home is freshly repainted and ready for you! Take a look at our virtual tour: Click on the movie wheel below the picture! Koolina Oahu, Hawaii consists of a one-of-a-kind, exquisite resort community and luxury homes market. Although not in Windward Oahu real estate, it has two miles of premier, white sand beaches and four lagoons connected by shoreline paths. The community also includes everything you might expect of an Hawaiian resort, from end to end. Its private roadways, golf paths and trails align perfectly with beaches, golf course greens and stunning, lush settings. Koolina real estate aligns perfectly with an uncompromising ideal in tropical island living. Real estate includes multi-family and single family homes. An unrivaled resort lifestyle comes with the back drop. No better residential living, with a significant accent on resort amenities can be found on Oahu. Koolina keeps improving on itself and its appeal to the residential side of real estate. In fact, Koolina real estate makes up a significant percentage of the resort homes market on the island. It attracts a wide range of buyer types, age groups and family sizes, with everything from the perfect choice for couples and that for larger families, to elegant estates and swank villas for anyone seeking a decidedly upper-end experience in the resort lifestyle. Find out more. Get details on real estate, including premier locations, luxury amenities and homes for sale in Koolina, using the unique lifestyle search on KimiCorrea.com. Contact area expert, Kimi Correa for more information. If you like Koolina and the west side, you may want to check out my North Shore Homes For Sale page and my Kailua Homes For Sale Page. Heading north from Windward Oahu real estate markets, Kailua and Kaneohe, awe-inspiring green valleys, ridges and mountains arise from the magnificent coast line. Kamahameha Hwy. continues beside the coast for sometime, then takes a turn around the northern tip of Oahu, reaching the North Shore. 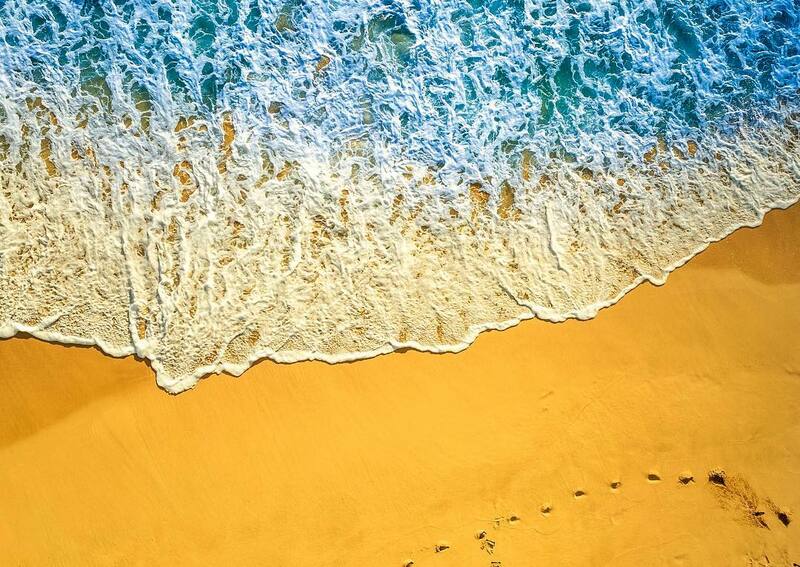 Famous for big wave surfing, 7 miles of white sand beaches and Waimea Bay, North Shore comes complete with enduring popularity and incredible natural beauty. It also comes complete with highly desirable North Shore Oahu real estate. Real estate appears in homes at various levels of luxury and opulence beside the beaches. It appears nestled in coastal and inland enclaves approaching the mountains and forest preserve. Find out more. Winter waves at North Shore come in huge, crystal clear formations. Summer waves come in much smaller, gentle formations. As a result, the variations attracts surfers of every skill set. All year round, North Shore Oahu homes for sale attract interested people of every buyer level, seeking the optimum in a Hawaiian lifestyle. The North Shore can be reached from the south end’s Honolulu and Waikiki within about one hour’s drive. Oahu’s North Shore real estate generates influx from a diversity of people looking for a location away from it all, yet close to plenty of engaging action and amenities. The island’s north end often presents the perfect solution for living, working, and playing, where everyday offers and experience in just this side of paradise. North Shore Oahu real estate includes a variety of property types, from condos and beach villas, to spacious single family homes and luxurious estates. Together with a stunning back drop of beaches, magnificent shorelines and coastal plains, real estate spreads out in select locations. Designed to get the most of out relaxed, island living with stunning views included, homes for sale appear not only at the shoreline, but also in select uplands. Turtle Bay Resort to the northeast and Haleiwa Town to the southwest provide yet more attraction and irresistible appeal to the North Shore. Find out more. Get details on real estate, including neighborhoods, desirable and exclusive North Shore homes for sale and more, using the unique lifestyle search on KimiCorrea.com. Contact area expert, Kimi Correa for more information. Hawaii Kai homes for sale in Oahu consist of a large, residential community and homes market on Oahu’s south shore. The community also faces Windward Oahu and Waimanalo on its northern edge. It resides about 12 miles and about a 25 minute drive from Honolulu. Hawaii Kai real estate originated from a billionaire industrialist’s development of a specific area of kiawe flatland. The development became an affluent arrangement of luxury homes. Growth continued with the creation of a marina from a fish pond and several subdivisions that extend inland on the southeastern end of Oahu. In fact, several exclusive neighborhoods appear in these inland areas. 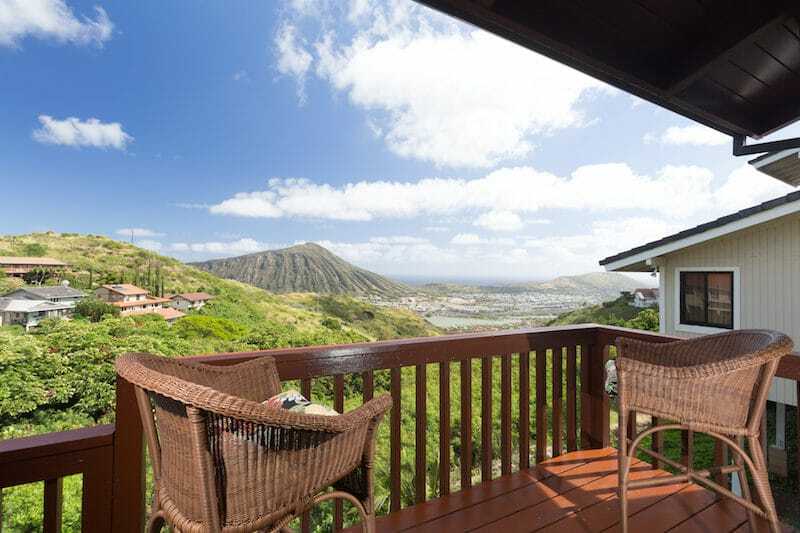 For those interested, desirable homes for sale in Hawaii Kai can be found at any given time at the coast, amid valleys and up mountain ridges. The premier community features a welcoming, close-knit and family-friendly atmosphere. It includes renowned attractions like Koko Marina Center, with quaint shops, restaurants and water sports opportunities. A movie theatre and location on the Hawaii Kai Marina adds to the center’s popularity and appeal. Hawaii Kai real estate appears all around the Koko Marina Center in delightful, well-planned neighborhoods, with beautiful parks, marina and Maunalua Bay shorelines, open space and natural preserves. In fact, a significant piece of land on the south shore’s oceanfront consists of gorgeous preserve with trails and the Kiko Crater Botanical Garden at its heart. 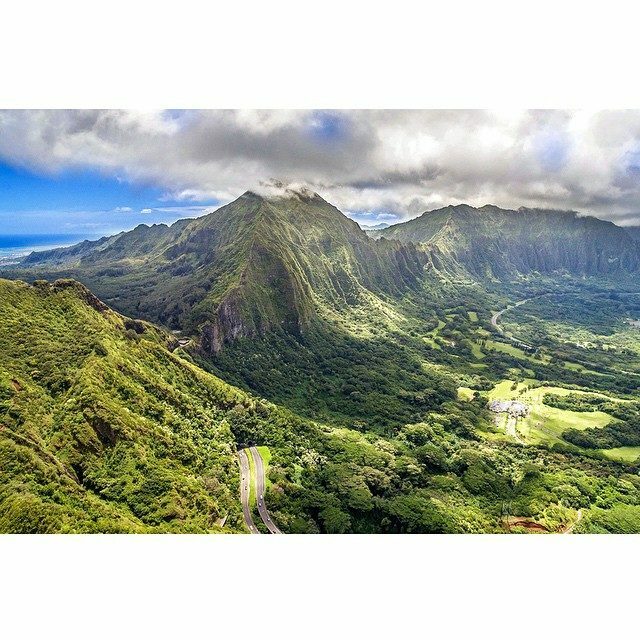 The Kalanianaloe Highway brings you by car to Hawaii Kai and heads up the coastal edge of the magnificent preserve, skirting lush, Hawaii Kai Golf Course and beautiful golf homes before it continues around Windward Oahu. Homes for sale in Hawaii Kai include lavish real estate on the marina. Single family homes, condos and townhomes come with highly prized appointments, luxury features and value pricing. Numerous opportunities for home ownership around the Hawaii Kai Marina offer something well-suited for every age group and family size. Out by the Hawaii Kai Golf Course or next to the Koko Nature Preserve, gorgeous luxury homes can be found available, where stunning features, views of the water, verdant mountains and golf course greens come as a standard. Higher up in select valleys and on prime mountain ridges homes continue a standard of luxury and exemplary craftsmanship. They come complete with an abundance of sweeping views and serene livability.Find out more. Get details on homes for sale in Hawaii Kai, premier locations and amenities, using the unique lifestyle search on KimiCorrea.com. Contact area expert, Kimi Correa for more information. Waimanalo Oahu, Hawaii consists of a small community and homes market amid Windward Oahu real estate. 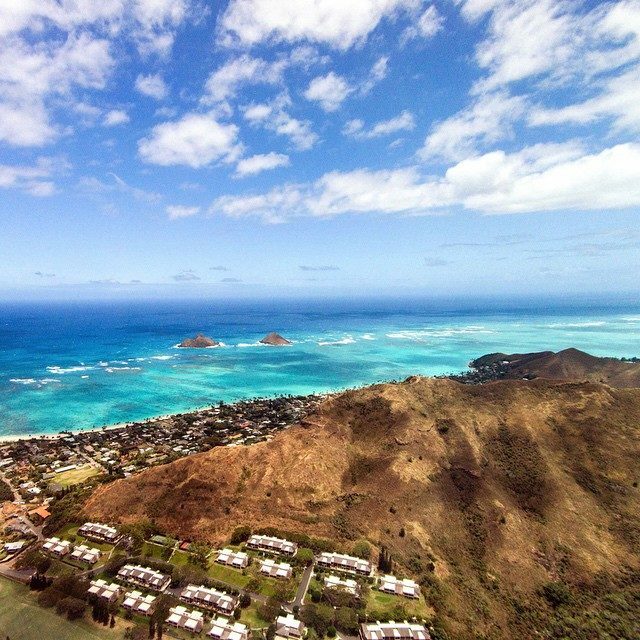 It occupies a coastal area between the town of Kailua northward and Hawaii Kai southward. Near the southeastern tip of Oahu, Waimanalo includes Hawaiian homelands. As a result, many native Hawaiians live in the community. Gorgeous Koolau Mountains create a back drop for the community, with a steep profile in lush, green impressions. Waimanalo real estate creates a desirable back drop for residential life in the quiet, yet majestic town. Numerous agricultural features fill the community’s valley profile. They extend a good distance toward the mountains. A common sight includes bananas, papayas and anthuriums growing year round. Although, while the agricultural essence of Waimanalo steals much of the spotlight, Waimanalo Beach represents the main attraction. Its extensive, white sand shores actually make up the longest beachfront on Oahu. Those interested in homes for sale in Waimanalo will find a number of choices ideally aligned with the beach. They will find everything from luxury established homes to extravagant contemporary estates. They should expect generous lots, acre plus and multi-acre grounds in the offering. Kaneohe Oahu, Hawaii consists of a large, residential community and homes market in Windward Oahu real estate. The community occupies a location west of Kailua and beside the Kaneohe Bay. It also consists of a commercial center and numerous residential enclaves a world apart, yet only about 12 miles from downtown Honolulu. 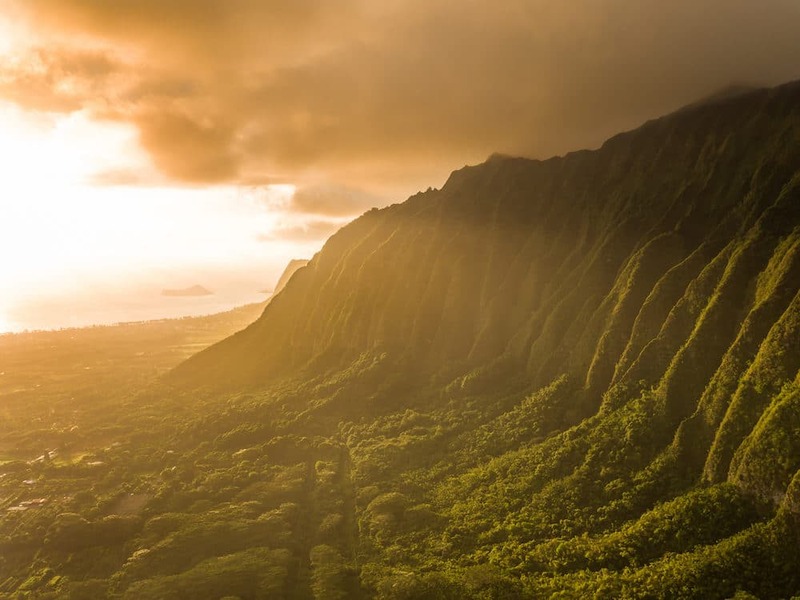 Kaneohe real estate consists of well-planned neighborhoods, highly desirable homes aligned beautifully with bayfronts, parks, trails and against the Koolau Mountains. The town center appears next to the Kamehameha Hwy. and in the heart of the community. It comes complete with restaurants, boutiques and the shopping complex, Windward Mall. Three premier golf courses, including Pali Golf Course, Koolau Golf Club and Bayview Golf Park line up with beautiful greens, offering memorable game experiences for all golfing skill levels. Gorgeous green spaces and natural preserves edge the community, including Ho’omaluhia Botanical Garden. For those interested, homes for sale in Kaneohe can be found near the impeccably landscaped golf course green of Bayview Golf Park, at stunning bayfronts and against lush, mountain back drops. They can be found in established and newer offerings, with styles and pricing nicely spread across a wide range. Variety, curb and price appeal make Kaneohe attractive to nearly every buyer type, age group and family size. Kaneohe real estate makes a significant statement in tropical island livability with many choices in premier locations, home styles and floor plans. Real estate includes estates on multi-acre grounds in the foothills. It includes luxury homes, condos, townhomes and exclusive villas on Kaneohe Bay and astride a marina. Many homes come with both beautiful views of Bayview Golf Park, and Kaneohe Bay. Innumerable other homes for sale in Kanehoe come complete with unique and incomparable views. Find out more. Get details on real estate, including premier locations, luxury amenities and homes for sale, using the unique lifestyle search on KimiCorrea.com. Contact area expert, Kimi Correa for more information. If you like Kaneohe, you may want to check out my Waimanalo Homes For Sale page and my Kailua Homes For Sale Page.